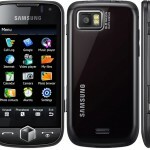 Samsung Jet is also known as Samsung S8000. 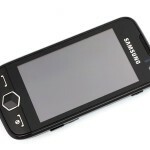 It is a touch screen mobile phone by Samsung and was released in June 2009. 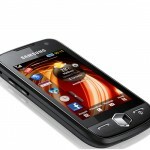 The phone features an 800MHz processor, a 5MP camera, a 3.1-inch touchscreen AMOLED display. It has a good memory storage of 2GB/8GB of internal storage with a microSD slot for an additional 16GB. It also has a Samsung developed Webkit which is a web browser called Dolfin. The operating system is a TouchhWiz 2.0 which is a Samsung developed UI. It has a 3D cube interface, Wi-Fi and 2GB built in memory. The Samsung S8000 was released to massive fanfare around the world and the general manager for the UK claimed that it was much better than the Apple iPhone 3GS. The first thing that is noticed when you see the Samsung Jet S8000 is its size. It has dimensions of 108.9 x 53.5 x 11.9, which is very small and hence it feels very diminutive while holding it in the hand. There are both advantages and disadvantages in this phone. On the one hand, the Samsung Jet S8000 fits very well in the pocket and is a real pleasure to carry around compared to some of the other huge phones on offer. However, on the other hand, the plastic case and the 110g weight count against it, gives a feel of a little too lightweight and, dare we say it, cheap in the hand because of the build quality. The phone is well designed and all the buttons are within reach because of the smaller proportions of buttons. The jack is stuck on the top without adding a huge amount of depth to the device. The camera is a dual flash version. The phone is prone to catch dust and finger prints easily. The 800 mhz processor does wonders for Multitasking. Jet has a proviso to finish all the functions at one go, but there is a small bug in this feature if you consider it should end Wi-Fi and Bluetooth. File copy speed is impressive. Jet is a good all-rounder phone and its Music features are worth appreciating.The Audio clarity is pretty good and there are lots of options and controls. Video playback is flawless but it drains the battery quite fast. The support for Divx and Xvid video is worth appreciating. The camera has lots of options to customize your photo before and after taking the picture,and smile detection is a great addition. The phone records video at 30 frames per second at a 720×480 resolution which is decent. Overall, The Samsung Jet retails at around Rs.19500 now and for the price it does provide loads of features which are packed in a great form factor. The phone has one of the best touchscreen displays in the market and we would recommend the Jet S8000 just for its Screen and the Features. can i download the facebook chat for this phone?